Jersey sporting legends from years gone by will be recognised in a new “Hall of Fame” being unveiled by Jersey Sport later this year, with five former stars expected to be in the first group inducted. “It’s only right that we formally recognise the achievements of some very talented athletes and teams, past and present,” said Jersey Sport chairman Phil Austin. “It’s been another brilliant year or so of sport from Gotland to Gold Coast and there are plenty of nearer-to-home success stories to celebrate too. Meanwhile, we also want to highlight and reward the schemes, schools and other organisations which promote active living and encourage a healthy island. “We think that earning a place in the Hall of Fame will become a particularly prestigious accolade for the inductees, and we’re looking forward to celebrating some of the brilliant achievements from islanders and local groups. A panel of judges, including representatives from Jersey’s Commonwealth Games and Island Games Associations will decide the shortlists and winners. The event, which will hopefully go on to become one of the standout occasions in the local sporting calendar, will be held on the evening of Thursday 8 November 2018 at the Royal Yacht Hotel (6.30pm). 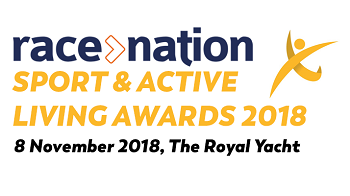 The awards nominations process has now opened on www.jerseysport.je/awards and tickets are also on sale on the same webpage, powered by RaceNation, priced at £55 for adults and £45 for Under-18s.